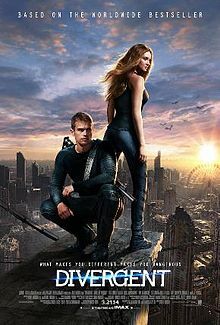 I recently saw the movie "Divergent" and was not impressed. The film is reminiscent of “The Hunger Games” regarding people in a strange society getting into cultish groups, where their lives are at stake due to violent competitions. Each person is chosen for one of five societal groups (Abnegation, Amity, Candor, Dauntless and Erudite) based on an aptitude test. However, one of the test subjects, Beatrice, does not comfortably fit within the parameters of one group, falling under two, which makes her a target.